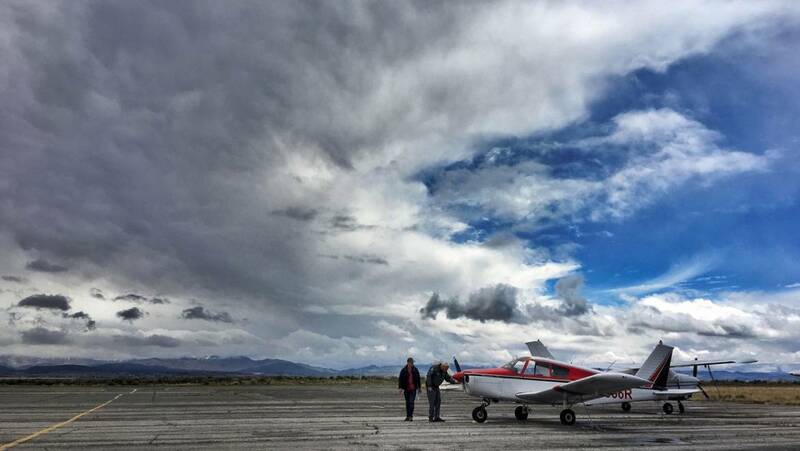 We take a look at how to become a pilot as a member of the High Sierra Pilots Flying Club, a Reno, Tahoe, Minden flying club for pilots. Becoming a pilot is one of the most rewarding decisions anyone can make in their life. In addition to the thrills and wonders of flight, having access to an airplane gives you the freedom and range to travel, whether it’s a weekend jaunt to the ocean or a week long airplane-camping trip in the Red Rock Desert. Nevada pilots have the unique advantage of being only a couple hours from any West Coast attraction you could ask for. Las Vegas, the Pacific coast and redwoods, California wine country, Washington and Oregon rain forests, Yosemite, Yellowstone; the list goes on and on. One of the most unique and convenient elements of flight training in an aircraft such as the High Sierra Pilots 1965 Piper Cherokee 160 is that even after you earn your private pilot certificate, you will have access to an amazing airplane that’s all yours. Many people want to know how to become a pilot, but there are few simple, step-by-step guides out there. 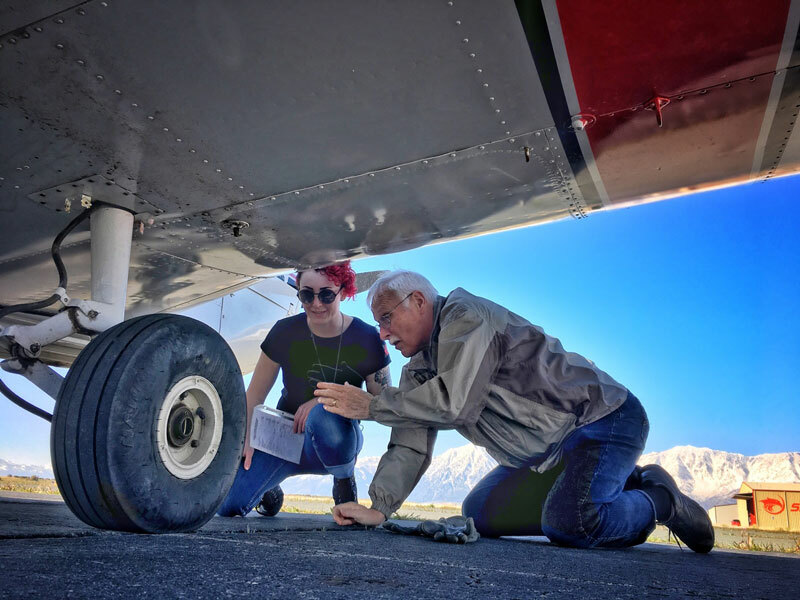 We at High Sierra Pilots Flying Club believe that aviation is one of the greatest pursuits in the world, and want to share it with as many people as possible. To simplify the process and put all the information in one place, we’ve outlined the basic path you’ll take on your way to your private pilot certificate. If you have any questions regarding the process, please don’t hesitate to get in touch! We love to talk about flying, especially with local Northern Nevada pilots and student pilots. Once you make the choice to pursue flight training in the Reno, Tahoe, Minden area, your first step is finding a primary flight instructor. In the High Sierra Pilots Flying Club, you have the option to choose from multiple instructors, including instructors like Larry Lindberg who was trained to fly aerobatics by the Blue Angels, Russell Smith, a long-time instructor and member of the Civil Air Patrol, Gabriel Bourbeau, an ATP-rated pilot with extensive commercial and charter experience, and many others. When deciding which of our experienced CFI’s to make your primary instructor, we recommend meeting with each one and possibly going for a discovery flight with them as well. Cockpit attitudes and teaching styles are unique to each instructor, and each student requires different things. Some like a lot of feedback, some like just a little, some students preferred to be pushed right off the bat, and some students prefer to take it slow. So look back to what type of teachers and style of teaching you liked most in school, and look for those attributes in our club instructors. The discovery or introductory flights are the first flight you take with an instructor. In this roughly hour-long lesson, you will be introduced to the different elements of the airplane, the controls and cockpit, and the four basic flight maneuvers: straight-and-level flight, climbing, descending, and turning. The instructor will most likely assist you with each maneuver so that you don’t feel overwhelmed your first time behind the controls but they will have you take control for integral parts of landing and take-off. 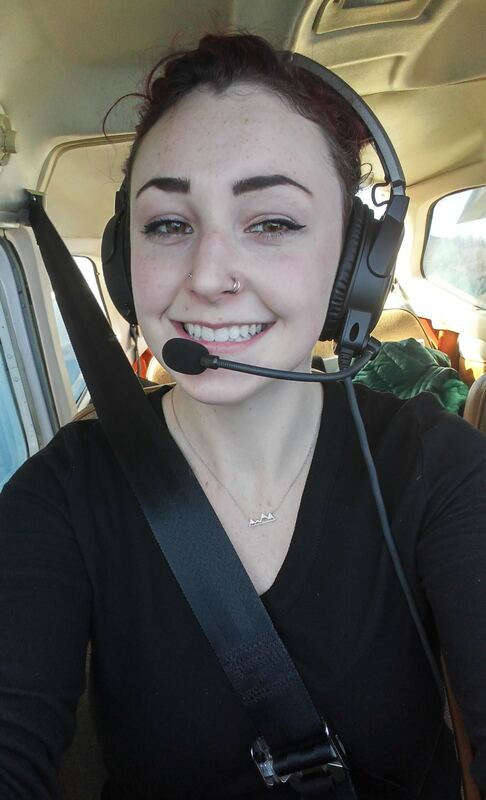 A student pilot beaming while on her discovery flight. Since joining the High Sierra Pilots Flying Club down at the Minden-Tahoe airport, I’ve had the honor of watching three others experience this exact sensation. Swarn, one of our newest members and a new student pilot, was absolutely glowing when he landed after his discovery flight, and Janine, another student pilot, couldn’t stop talking about her experience even though her discovery flight was in bumpy winds. You can fill out your application for a student pilot’s certificate on the FAA’s IACRA (Integrated Airman Certification and Rating Application) portal1, which will only take 30 minutes or so. You can fill it our on your own, or with your flight instructor to help answer any questions you might have. However, it’s important to note that you will need to have your flight instructor review the application and certify it, including entering pertinent ID information from your primary form of photo ID. After the instructor signs off and completes the application, and after TSA vets you, you’ll be given access to a temporary certificate. And, a short time after submitting your completed application, you will receive an official student pilot certificate in the mail. It’s an exciting step toward becoming a private pilot! Warning: you will almost assuredly whip out your student pilot certificate at bars, the grocery store, or just on the street to show it off. Just let it happen, it’s natural. 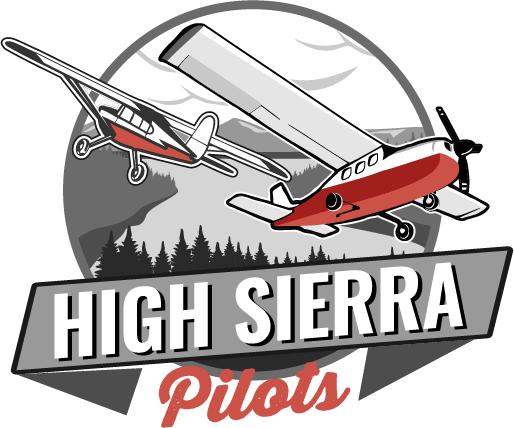 Scheduling flight lessons is very simple with the High Sierra Pilots Flying Club! You can schedule flights online or on your mobile device using Flight Scheduler Pro. With this program, you select dual instruction, choose your instructor, choose your airplane (which will grow as we add more to the fleet), and select a time for your flight training that works for you and your instructor. Though it depends on your personal schedule, we recommend scheduling two or three flight lessons a week, in addition to attending ground school. Ground school takes place on Mondays, Wednesdays, and Thursdays by our club founder, Bryan, or one of our many talented instructors. Student pilots can access the 10-week ground school course for a one-time cost of $400. It’s a safe environment to learn; there are no grades, and no stupid questions (well, maybe there are, but no one will judge you for asking them! An educated pilot is a safe pilot). In that spirit, we invite you to write down any questions you might have come up with either studying at home or when reviewing your flight lessons and bring them to class with you. To fly solo in an airplane, you must have a valid third-class medical certificate which you can easily obtain by going to the FAA’s website and finding an AME near you3. An AME is an Aviation Medical Examiner; a medical doctor that is certified to perform exams and award a third-class medical certificate. During your appointment, the AME will ask you basic questions regarding your health, both physical and mental. They will check your blood pressure, vision (both color vision, near-sight, and far-sight), and basic physical strength. The AME will apply light pressure to your hands and feet to determine if you can control the yoke and rudder pedals. When testing your vision, you are allowed (encouraged!) to wear your corrective lenses during the tests. The myth of pilots needing to have perfect (or close to perfect), uncorrected vision applies only to military pilots. When the appointment ends, you will be given a signed piece of paper that you should keep in your wallet or with your logbook. Once you are signed off for solo flight, you will be required to keep your third-class medical certificate with you whenever you fly2. Though each instructor is different, there are a few basic phases each student pilot will transition through on their way to their first solo. One of the first phases is continuing to grow and polish your understanding of taking off, and the four basic in-flight maneuvers (straight-and-level, climbs, descents, and turns). During this time, your instructor will likely have you do maneuvers such as turns around a point, holding altitude, climbing turns, descending turns, and slow flight. Becoming comfortable in slow flight will make you much calmer and safer during stall recovery and landing. A student pilot and CFI Russ Smith during the pre-flight check. Once you demonstrate a proficiency behind the controls, your instructor may transition you to “touch-and-go’s” (landing and taking off again without coming to a full stop) and flying the traffic pattern, which will give you lots of practice landing. Your instructor may choose to teach you radio call procedures during this time, or wait until you’re comfortable with each leg of the traffic pattern and landings. One of the most important lessons you will learn during this time is how to react to in-flight emergencies. Your instructor needs to be positive that you can handle the airplane on your own, even if, for example, your engine quits. During this time, you will learn more about the mechanical and electrical systems in your aircraft, deepening your understanding and familiarity with your training aircraft. As soon as you’ve got the traffic patterns, landings, in-flight emergency procedures and radio calls nailed down, your instructor will begin to prepare you for your “Solo,” which is your first time flying without an instructor in the cockpit. Solo flight is an exciting and frightening moment on the student pilot’s path to earning their certificate. Once you have demonstrated proficiency behind the controls, your instructor will give you a pre-solo quiz about aircraft systems, engine maintenance (what types of oil and fuel your aircraft needs), emergency procedures, maneuvers, and speeds specific to your airplane. Generally, you take the quiz home and fill it out as you learn, go over it with your instructor once it’s completed and you’re ready for solo flight. And then, of course, it’s time to schedule your solo flight. Your solo flight will be scheduled on a great flying day (calm winds and great visibility), likely in the early morning. You and your instructor may do a couple laps of the traffic pattern to get you “warmed up,” and then you will land, your instructor will get out, and you will take off on your own for the very first time. Most student pilots are instructed to complete 3-5 “touch-and-go’s” and land, and then go over the experience with their CFI. This will be a slightly stressful (or in some cases, incredibly stressful), but incredibly fulfilling experience, and in many pilot’s opinions, it is the most significant milestone on the journey to your private pilot certificate. After you’ve successfully soloed, your logbook will be endorsed by your instructor, which will allow you to fly solo within certain limitations. Oftentimes, these limit your solo flight to good weather days within the traffic pattern. These limits will shrink, and your pilot privileges will grow as you progress in your training. Though you will be building the required solo flight hours, you will also continue to have dual instruction flight lessons all the way through to your check ride. During this time, you will continue to learn to fly in different conditions, in different airspace, and much more. In addition to maneuvers, you will also be embarking on longer flights to prepare you for your solo cross-country, taking night flights, and learning to fly using only the instruments. During this section of your training, you will learn to trust the airplane as a partner. Student pilots are required to fly a solo cross country, which simply means a solo flight of at least 150 nautical miles that includes three full stop landings, and at least one leg of 50 nautical miles or more2. You will create and file a flight plan using a sectional chart, but may use GPS, as well as landmarks and visual cues, to navigate from airport to airport. You will fly this route with your instructor likely multiple times before attempting it on your own. Many private pilots say that their first solo cross country is an overwhelming experience, but upon landing back at their home airport, they truly feel like a pilot. The written exam is one of the three main reasons student pilots drop out of flight training. It is an intimidating challenge, but one you are more than capable of handling. During your flight lessons and ground instruction, your instructors will be preparing you for the written exam by giving you the answers to the over 600 questions possibly on the test. When your instructor feels you are prepared for the exam, he will sign off on you taking the exam. It is a 60 question, multiple-choice exam taken on a computer in an official testing location. You will have 2.5 hours to complete the exam and are given the tools you’ll need to solve for the answers, including a plotter and a flight computer for questions regarding sectional charts. Remember to go slow, and trust that your instructor would not encourage you to take the exam unless you are truly prepared. You know this. It is a pass/fail exam, and a minimum score of 70% is needed to pass. You will learn your score minutes after completing the exam and can retake it if you fail. Your last day as a student pilot will be the day you take the oral exam, followed by the check-ride. You will meet up with a designated FAA examiner, who will ask you many questions covering the same material as the written exam. You will also have to demonstrate your knowledge of sectional charts and flight planning. Remember that the examiner is a human being just like anyone else, and try not to be too nervous. The oral exam can take up to two hours, and the following check-ride can take up to four, though it’s oftentimes shorter. Get comfortable with the examiner: it’s going to be a long day. After the FAA examiner has determined you have enough pilot knowledge to proceed to the flight portion of the test (known as the check-ride or the practical exam), you will go to your airplane and perform a thorough pre-flight examination, and get ready to fly! During the check-ride, you will demonstrate every skill you’ve learned as a pilot, from the simplest radio call to the most in-depth simulated engine failure, within set guidelines. For example, you will be asked to do turns around a point without losing or gaining more than 100 feet in altitude, land within a certain distance from the numbers, and so on. The test will continue until the examiner decides you are a safe and efficient pilot and have worked hard to earn your private pilot certificate. Upon landing and securing the aircraft, the examiner will tell you their decision, and you will very likely have a big reason to celebrate! Earning your private pilot certificate is challenging. It’s a long, arduous process, and there may be times when you feel overwhelmed and unmotivated, but every pilot you ask will assure you it’s one of the best life choices you can make. If you work hard and stick with it, the privileges of becoming a pilot, and the experiences now available to you are innumerable and priceless. You now can fly High Sierra Pilot’s Piper Cherokee as much as you’d like, wherever you’d like. In addition, as a club member, you’ll also have access to the other airplanes in the club. The world is your oyster! Now that we’ve discussed the general path for how to become a pilot and earning your private pilot certificate, let’s take a moment to list out the basic requirements for earning your private pilot certificate. Keep in mind, this relates to single engine, powered aircraft, and that different requirements apply for a sport pilot certificate, or glider/balloon ratings, or the more advanced commercial, instrument, multi-engine and other ratings. Be able to proficiently read, speak, write, and understand English. Obtain (at least) a valid third class medical certificate from an AME. Pass the FAA’s written knowledge test with 70%, or more, of the questions answered correctly. Hold a valid US student pilot, sport pilot, or recreational pilot certificate. 3 hours of cross-country flight training. 10 takeoffs and 10 landings coming to a full stop at an airport, with each landing involving a flight in the traffic pattern. 3 hours of flight training with an authorized CFI in preparation for the practical test, which must have taken place within the previous two calendar months from the month of the test. One cross-country flight that is at least 150 nautical miles in total distance, with full-stop landing at three points. In addition, at least one segment of flight should consist of a straight line distance of more than 50 nautical miles between the takeoff and landing locations. Three takeoffs and three landings to a full stop at an airport with an operating control tower, with each landing involving a flight in the traffic pattern. Pass the oral test and check ride test administered by an FAA inspector, FAA-designated examiner, or an authorized check instructor.